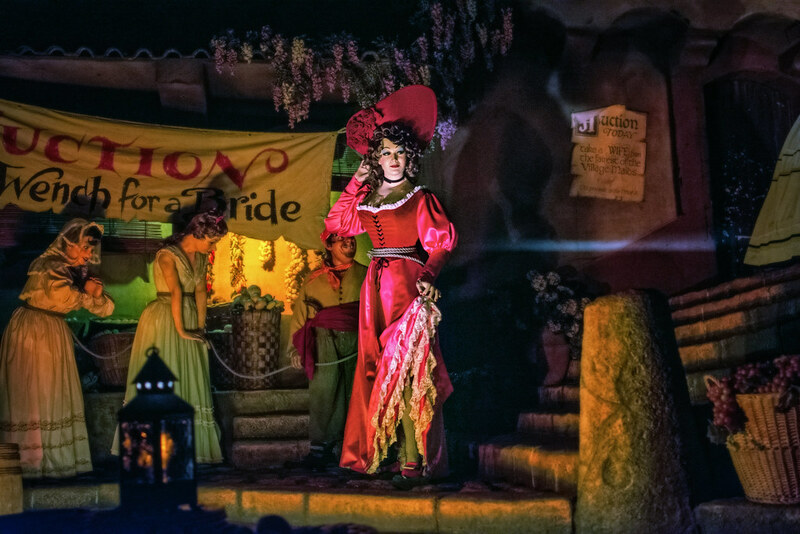 Yesterday, many Disney fans were rattled by the news that the various Disney parks will soon be updating their Pirates of the Caribbean rides with a revised version of the wench auction scene, with the auction becoming one of goods, and the famous “Redhead” becoming one of the pirates, rather than part of the inventory. While many are understandably disappointed by what appears to be a case of Disney caving to PC demands, the concept art for the new scene appears to tell an interesting story at least. With the Redhead now becoming a pirate, not only will she likely gain some dimension as a character, but in all probability she’ll receive her first ever lines of dialogue in 50 years. Whatever the future brings for this character, let’s take this moment to appreciate the Redhead that has been the subject of a bidding war for generations. This entry was posted in Pirates of the Caribbean and tagged animatronic, dark ride, Pirates of the Caribbean, Redhead, wench auction. Bookmark the permalink.